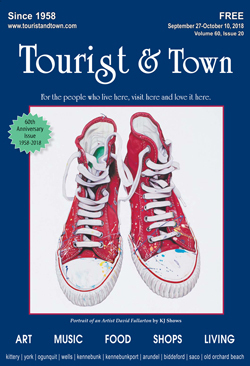 Founded in 1958, Tourist & Town is a three-season arts and entertainment newspaper circulated throughout Maine’s south coastal region. It is enjoyed by year-round residents, seasonal residents and vacationers. 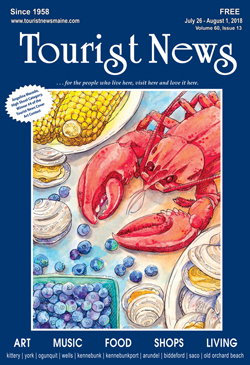 Tourist & Town is distributed free at more than 450 locations in Portland, Saco, Biddeford, Old Orchard Beach, Kennebunkport, Cape Porpoise, Biddeford Pool, Kennebunk, Wells, Ogunquit, York and Kittery. Our summer circulation is 17,000 copies weekly. Spring and fall circulation is 12,000 to 14,000. A printing of 21,000 copies of the Holiday Issue is distributed during in December. Tourist & Town is packed with stories about events, galleries, businesses, people, landmarks and local history. 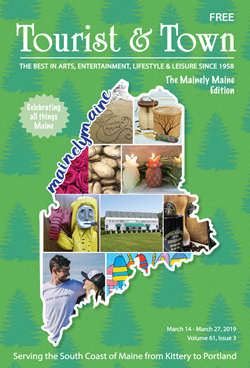 Our calendar offers an indispensable guide for things to do and places to go in southern Maine. For calendar listings and press releases email [email protected]. There is no charge for listings in the Tourist & Town calendar. Lisitngs are included, at the editor’s discretion, in both in Tourist News in print and on touristnewsonline.com. Pick up a copy of Tourist & Town! Tourist & Town can be found at all southern Maine chamber of commerce centers, libraries, museums, motels, inns, campgrounds/ RV parks, most restaurants and many retail and convenience stores. We welcome additional distribution locations. 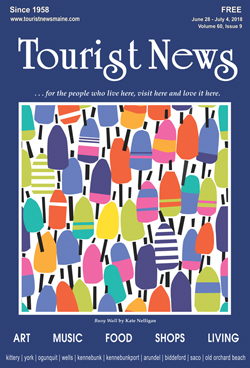 To request delivery of Tourist & Town at your business in our circulation area, call 207-468-9791. Outside Boxes Available!